Sunshine Coast Resort Hotel & Marina. 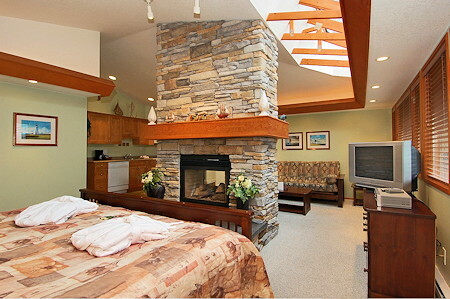 Luxury Lodging & Acccommodations on BC's Sunshine Coast. Oceanfront Penthouse, Suites & Cottages. Pender Harbour, British Columbia. Sunshine Coast Resort is nestled into a lush BC coastal hillside and offers you lodging with a little bit of Whistler luxury, European hospitality and a whole lot of West Coast ambiance - all of which radiates from the Sunshine Coast Resort Hotel & Marina. From our location at Madeira Park, in the heart of Pender Harbour, you'll also be close to shopping, fine dining and entertainment. Experience the natural beauty of BC's Sunshine Coast and the world renowned scenery and atmosphere of Pender Harbour from one of our Luxury Suites, Executive Cottages, Oceanview Rooms, our Executive Penthouse or the Oceanfront Cottage, which feature westerly exposed patios with sweeping views of the harbour and surrounding mountains. Our two bedroom cedar executive cottages at Sunshine Coast Resort are a completely new standard in fully self-contained oceanside luxury accommodation! and the impeccable service offered. 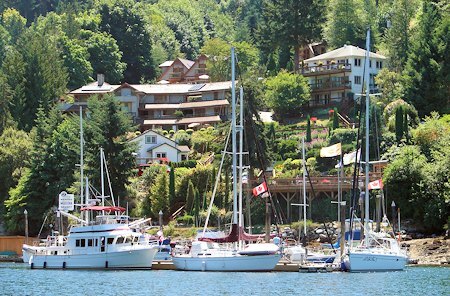 Renown among boaters from around the world, Pender Harbour is at the gateway to one of the world's best boating areas, including Desolation Sound and Princess Louisa Inlet. Come experience the breathtaking scenery the Sunshine Coast has to offer and fish some of the most protected waters on the west coast. Sunshine Coast Resort offers a selection of open aluminum boats or fiberglass runabout's. You can also take in a breathtaking discovery cruise through inlets and sounds, past enchanting waterfalls and majestic mountain formations. You'll see ancient native paintings and observe hunting bald eagle. A harbour seal might cross your path or you may discover black bears digging for crabs and mussels along the shore. as well as local harbour tours. Make the beautiful Sunshine Coast Resort your home base for an unforgettable Sunshine Coast fishing adventure. Fishing the waters of Pender Harbour is fantastic all year round. Chinook or Coho salmon, lingcod, sole, snapper, rock cod or even a bucket full of prawns, the action is yours to catch! And, explore the beautiful coastal waters and the spectacular wildlife in one of our clean and well maintained canoes or kayaks. the ultimate Sunshine Coast accommodations and vacation experience awaits you at Sunshine Coast Resort, Hotel and Marina! 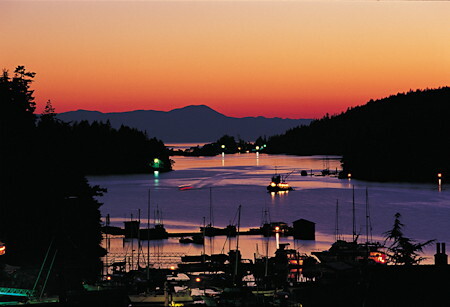 Sunshine Coast Resort is located at Madeira Park, in Pender Harbour, on BC's beautiful Sunshine Coast. We look forward to welcoming you soon at Sunshine Coast Resort Hotel and Marina. Two bedroom Cedar Executive Cottages: a completely new standard in fully self-contained oceanside luxury accommodation! 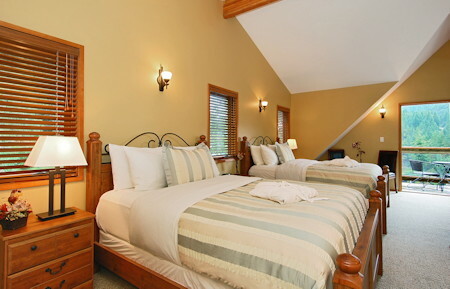 Comfort, elegance and pure luxury in our westcoast cedar executive cottages will surpass your highest expectations. 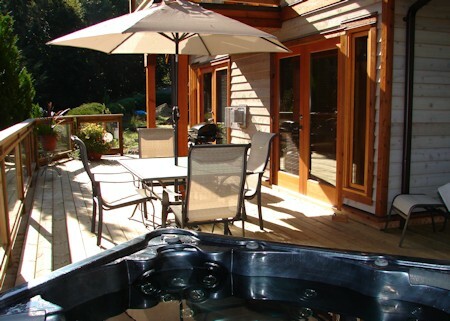 Elegant Suites: large patios or decks with complimentary BBQ and sweeping views of Pender Harbour, dishwasher equipped kitchens, large, fully tiled luxury bathrooms with jacuzzi soaker tubs, living rooms with stone fireplace, flat screen tv with vcr and dvd, telephone with voicemail and data port. The large separate bedrooms feature king size beds, exquisite down duvets and pillows and make our one bedroom suites ideal for families of up to four people. Executive Penthouse: For that special romantic getaway may we suggest our executive penthouse with it's huge double sided stone fireplace, two person romance jacuzzi and in-bath tv. Junior and Standard Rooms: all feature ocean views, furnished decks, queen size beds, cable tv and for your convenience are equipped with a microwave and barfridge. 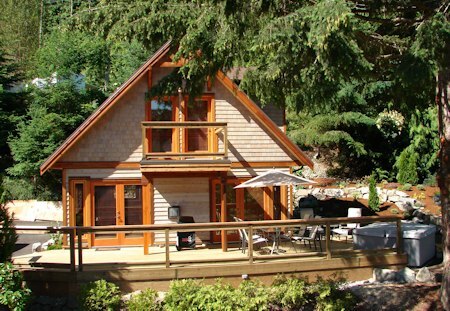 Two bedroom Oceanfront Cottage is located 50 feet off the water's edge and therefore provides the most intimate view of Pender Harbour's coves and bays and multitude of waterways. With sleeping arrangements for 7 and our very competitive rates the cottage is a popular choice for larger families. "Now wireless high speed internet connections in every room and throughout the entire property".